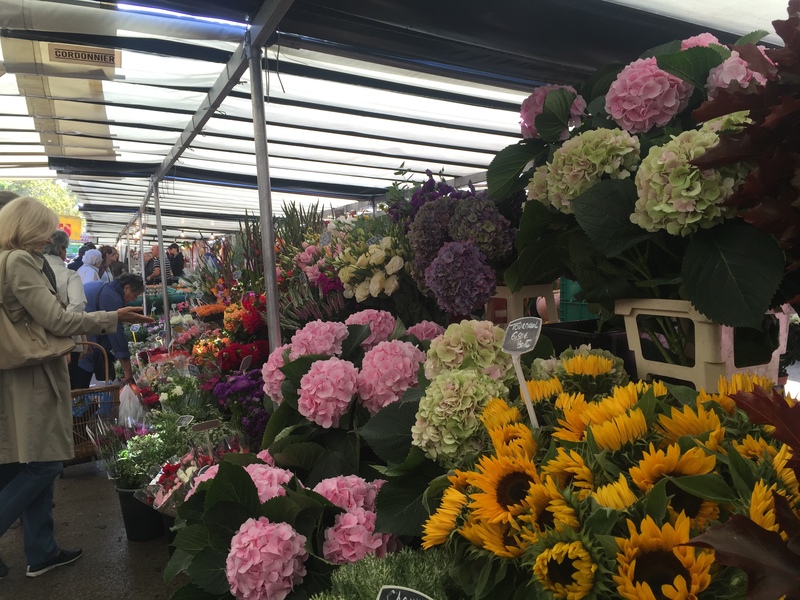 We started our day with a trip to the beautiful Saxe-Breteul market. 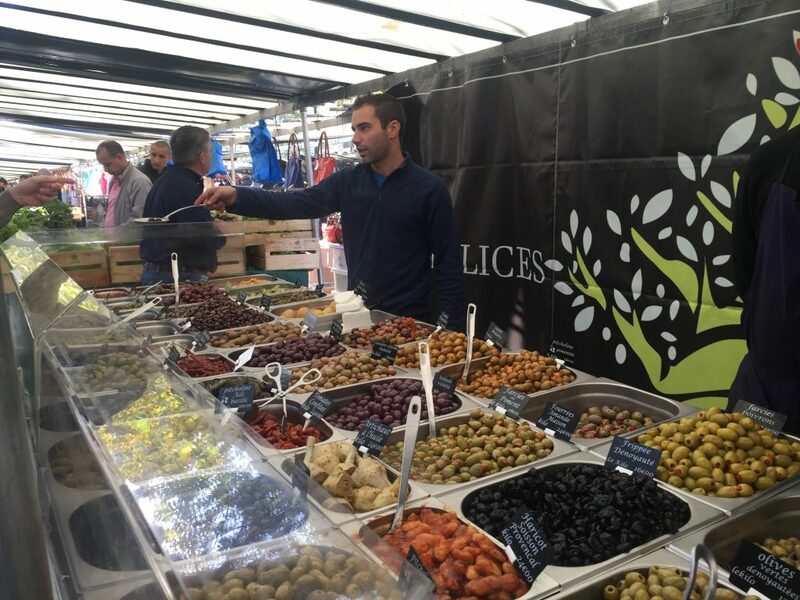 Of the many markets in Paris, this one is known as the most beautiful and one of the best. 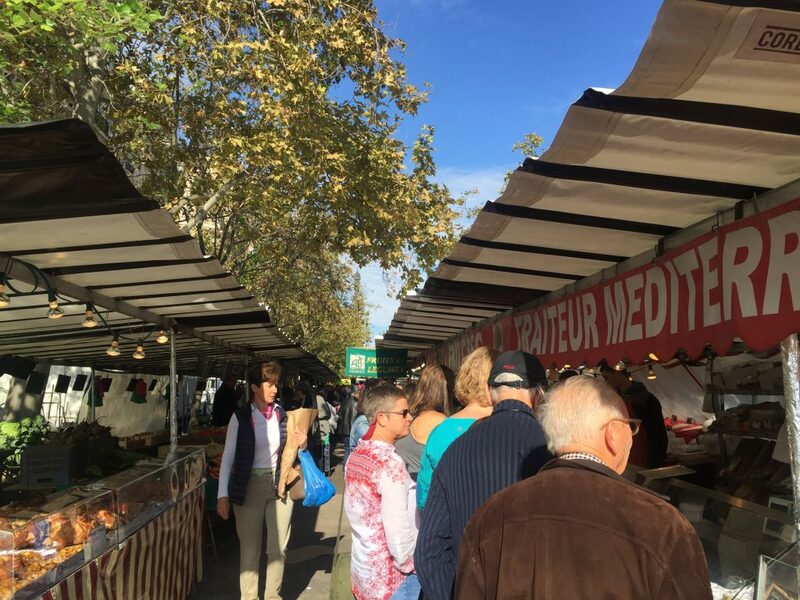 Known for its organic and high quality foods, the market street has a lovely view of the Eiffel Tower. 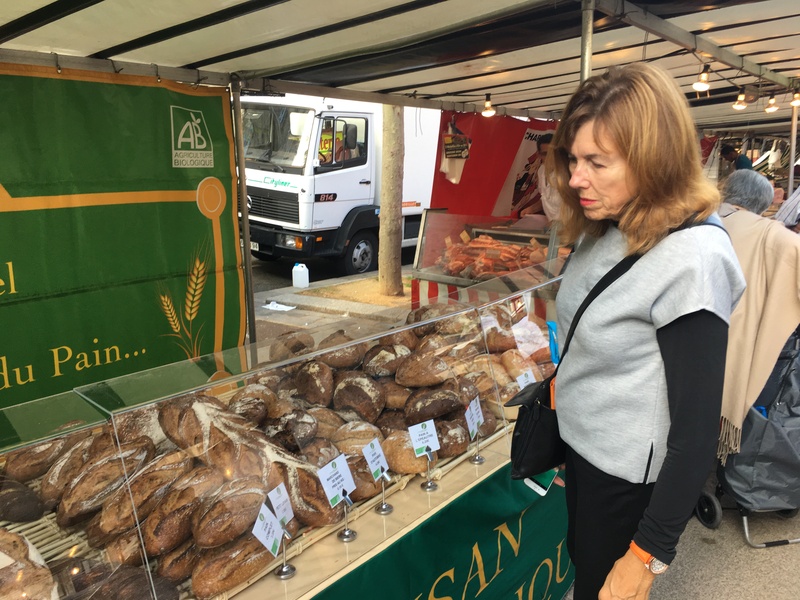 There are a number of excellent fishmongers from Normandy and Brittany who come to this market, but one of them must be known as the best-the line for that stall was at least three times longer than at any other stall. 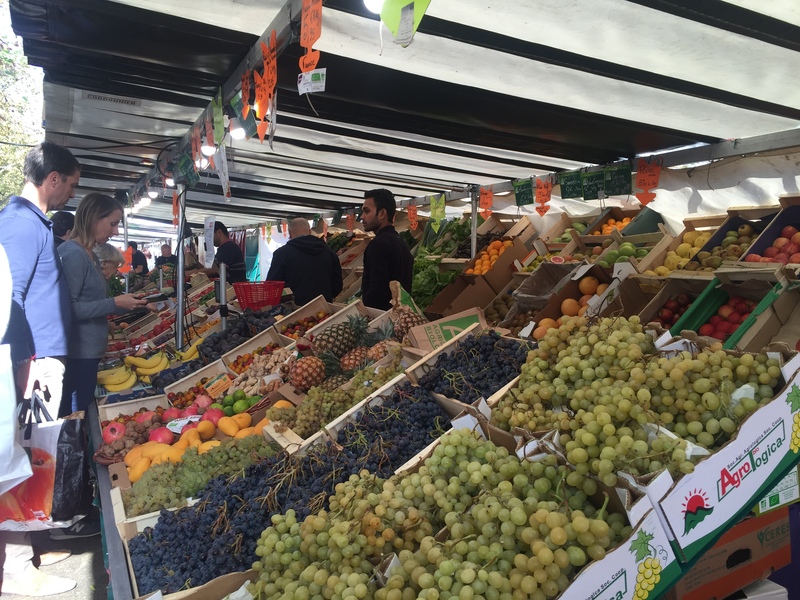 I had read about a farmer at this market who specializes in apples and had an interesting conversation with her about which apples to buy. When we got to some of the finer points of apple preferences, I struggled with my French. She asked me if I wanted her to speak in English. 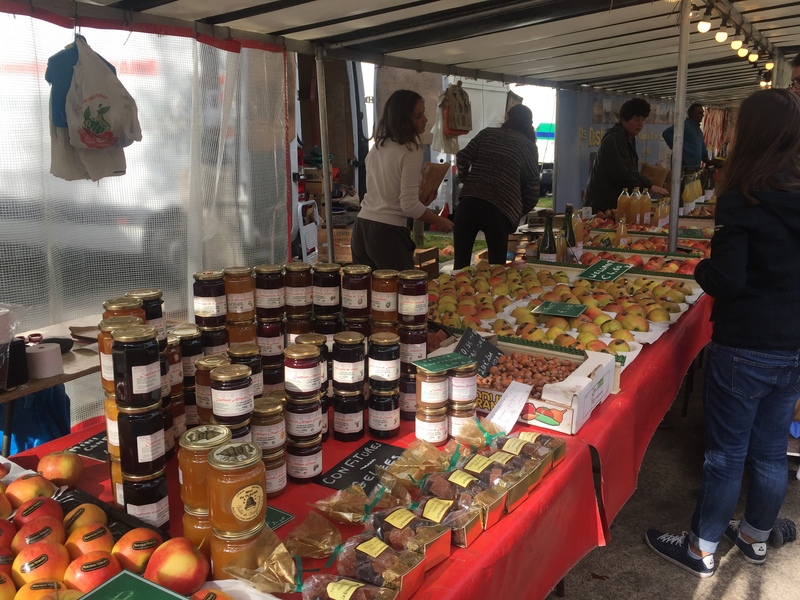 We continued our conversation in English and she picked out the perfect apples for us – nouveau verger. 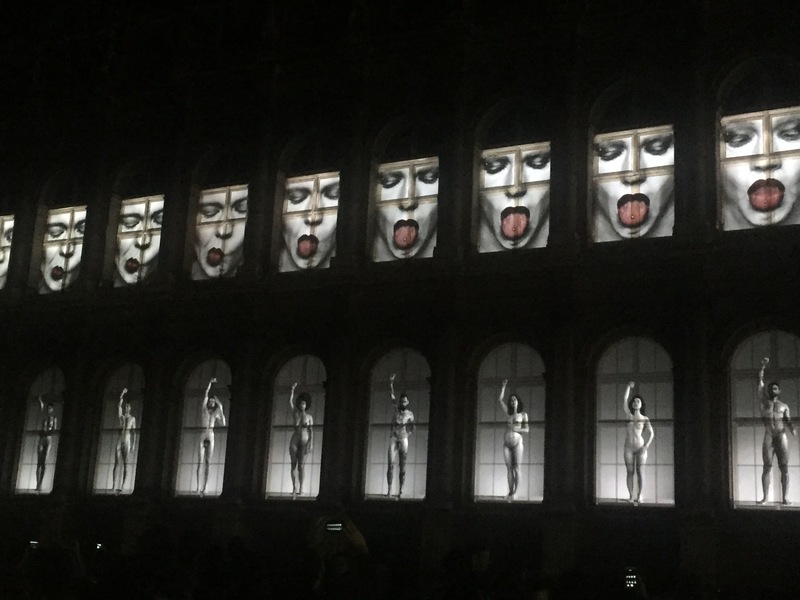 We were so lucky to be in Paris for Nuit Blanche, a free, contemporary out-door art festival all over the city on the first Saturday in October. It starts at seven in the evening and lasts to the early morning hours. The metro stays open and offers free rides from 2:30-5:30 AM. I had read a little about it and a friend who used to live in Paris emailed me some information. Many of the art activities were along the Seine, and a painted pink line guided everyone along the route . 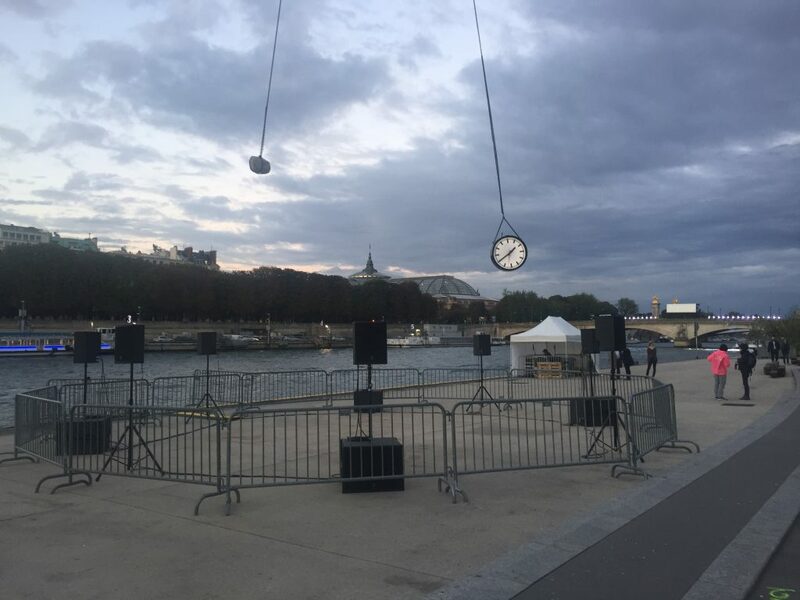 The first installation we saw was a clock swinging from a crane along with an amplified ticking sound. There were a number of large film screens set up. 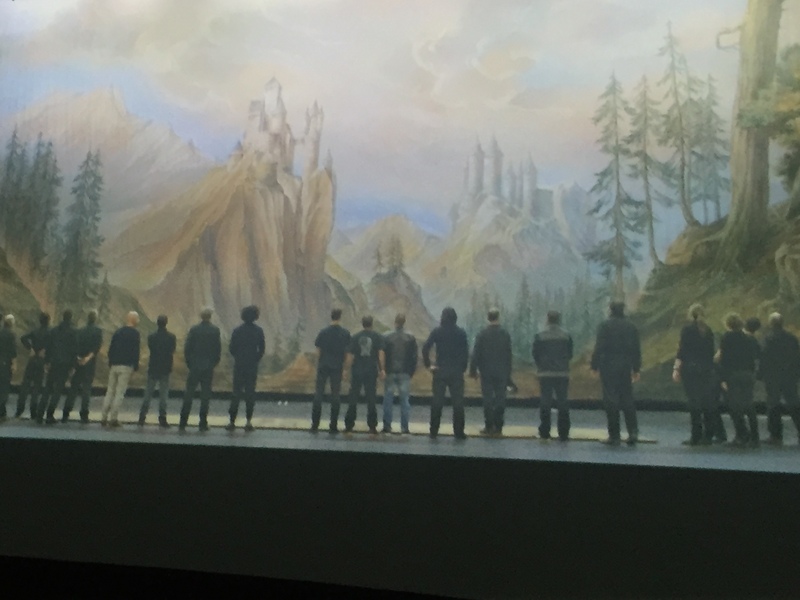 One showed a documentary about painting and installing a large set backdrop for the Paris Opera. At the end of the film about twenty men carried the completed set in a long roll on their shoulders from the workshop through the city to the Paris Opera and installed it. At the end of another film from the Paris Opera on a different screen, twenty men left the audience and picked up a long roll like the backdrop in the earlier film and walked off with it on their shoulders. After enjoying the art work along the Seine, we took the metro to the Hotel De Ville, the beautiful building housing the Paris city government, and saw an art installation of changing figures and faces on the windows of the building. Nuit Blanche was such a fun event – I never knew what to expect or where it would be. Nuit Blanche means “white night” which is a sleepless night. It wasn’t for us- we came back to our neighborhood long before the night was over. The little Vietnamese restaurant on our street was closing but opened their doors for us. 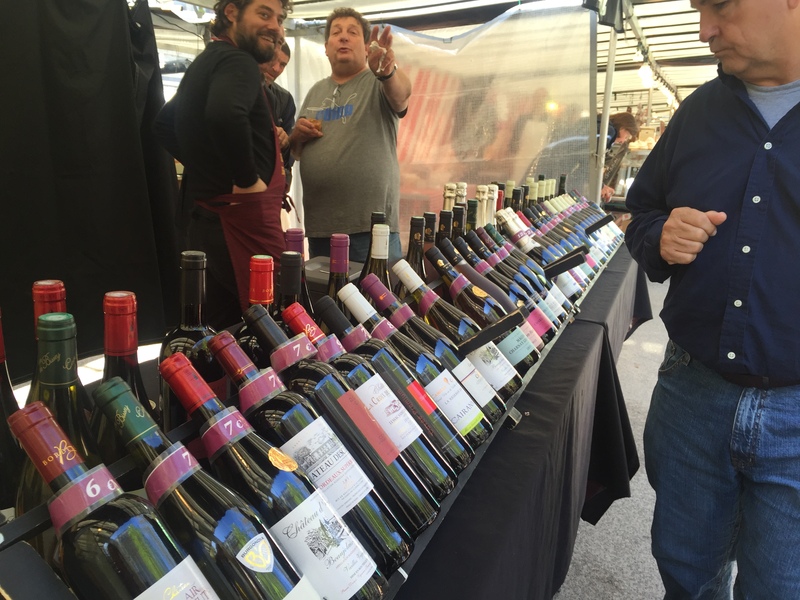 We had an interesting conversation with the owners about how they felt about living in France. 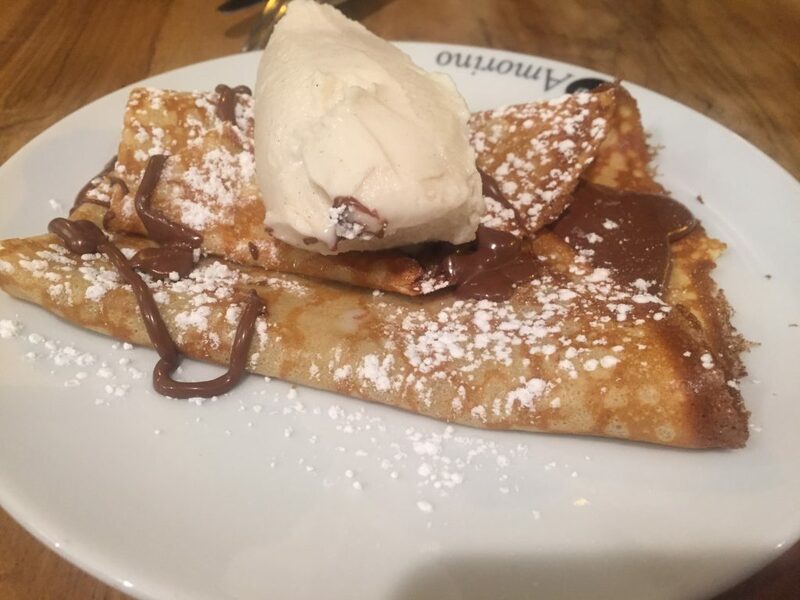 And to top of this great day, we went to a little dessert shop around the corner from us and I discovered a wonderful new way to eat crepes – with ice cream. This entry was posted in Amsterdam, Bruges, Paris 2016 on October 1, 2016 by debbie.